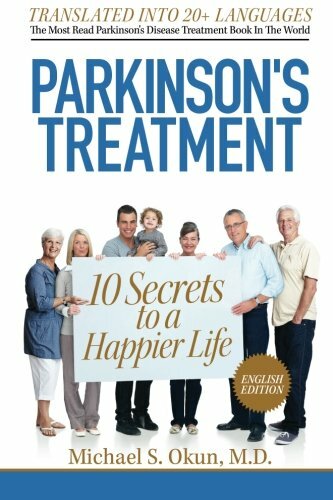 Parkinsonsecrets.com and Parkinsonbreakthrough.com blogs are the Official Website for the books: Parkinson's Treatment: 10 Secrets to a Happier Life and 10 Breakthrough Therapies for Parkinson's Disease. Dr. Okun is the co-founder of the University of Florida Center for Movement Disorders and Neurorestoration, the National Medical Director for the National Parkinson Foundation, as well as the author of several books including Ask the Expert about Parkinson's Disease, Lessons from the Bedside, 10 Breakthrough Therapies for Parkinson's Disease and Parkinson's Treatment: 10 Secrets to a Happier life due out in 2013. His secrets book was translated into 20 languages so that it can be made available to Parkinson's disease sufferers around the world. Dr. Okun has been recently been honored at the White House as a Champion of Change for Parkinson's Disease. Dr. Okun has been published in journals such as the New England Journal of Medicine and people travel from around the world to seek his opinion on best treatment approaches for this disease. This week the FDA approved the drug Pimavanserin (Nuplazid) for the treatment of Parkinson’s disease psychosis. There has been a critical, unmet need for development of better drugs to address hallucinations and psychosis in the setting of Parkinson's disease. We have learned over many years that typical high potency neuroleptic antipsychotic drugs (e.g. Haldol, Olanzapine) may improve hallucinations but do so at the cost of worsening Parkinson’s disease motor symptoms (rigidity, slowness and walking) and are associated with an increased mortality. We have changed our treatment strategy to address hallucinations in Parkinson’s disease by using agents that will not worsen the common motor symptoms (stiffness, slowness, walking). We routinely choose quetiapine (Seroquel) or clozapine (Clozaril) instead of the classical dopamine blocking drugs. There are, however, shortcomings with these two drugs. Quetiapine has not been shown effective across several randomized Parkinson’s disease clinical trials, but many Parkinson experts believe it is moderately helpful, particularly in the setting of mild hallucinations. Clozapine has been shown to be highly efficacious, but it requires weekly blood monitoring to check for a potentially life-threatening side effect called agranulocytosis; where the drug attacks the bone marrow. The inconvenience and discomfort of blood draws have limited the penetration of this therapy. Pimavanserin (NuPlazid) is a new drug that works primarily on the serotonin receptor. It does not block the dopamine receptor and does not worsen the Parkinson’s disease motor symptoms. 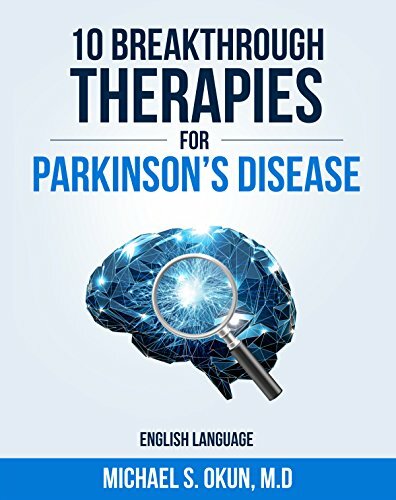 Here are some tips drawn from the book 10 Breakthrough Therapies in Parkinson’s disease http://www.amazon.com/10-Breakthrough-Therapies-Parkinsons-Disease/dp/0692497412/ref=sr_1_5?s=books&ie=UTF8&qid=1459453577&sr=1-5&keywords=parkinson%27s+disease (amazon.com) about what you need to know about Pimavanserin for treatment of Parkinson's disease related psychosis. · Though classically we think about the dopamine receptor in Parkinson's disease as underpinning psychosis symptoms, serotonin has also been implicated. · Lysergic acid diethylamide and phencyclidine (PCP) stimulate 5-HT2A serotonin type of receptors. Stimulation of these receptors may lead to hallucinations. · Most available antipsychotic drugs block the 5HT2A receptor and the D2 dopamine receptor. · It is possible that the 5HT2A blocking mechanisms of newer antipsychotics may underpin their benefit and may do so with a lower side effect portfolio (leaving out the D2 blocking effects). · Pimavanserin is a 5HT2A inverse agonist. It binds to the same receptor as an agonist; an agonist would stimulate the receptor, but an inverse agonist would do the opposite and reduce stimulation below basal levels for the serotonin brain receptor. · Pimavanserin is thought to have few or no motor side effects (e.g. tardive dyskinesia, parkinsonism). · The emerging safety profile has shown it is potentially superior to other available antipsychotics. · There is one Phase III trial that has shown benefit. It is possible that Pimavanserin will be another great alternative for some patients with Parkinson's disease, especially since it does not worsen motor symptoms, but more data will be needed. One wonders if in severe cases of psychosis, Pimavanserin could be added to seroquel or to clozaril to improve treatment of difficult to control hallucinations. Antipsychotic use in the general population has been linked to increased mortality. Dan Weintraub and colleagues at the National Parkinson Foundation Center of Excellence at the University of Pennsylvania performed a retrospective matched-cohort study using a Veterans Health Administration database. The authors were interested in antipsychotic use in Parkinson’s disease. The 180-day mortality was compared in those who initiated therapy versus those who did not. Mortality rates were examined by Cox proportional hazards regression models. General use of an antipsychotic in Parkinson’s disease was associated with a more than double the risk of death. The risk was higher for the older stronger antipsychotics (called typical antipsychotics and include for example Haldol). There were important gaps in the data. The study did not include a matched control group of Parkinson’s disease patients who had active psychosis. Additionally, Clozapine, which is known to suppress psychosis without worsening Parkinsonism, has been shown to reduce nursing home placement and to restore meaningful life in many patients with Parkinson’s disease psychosis; however there were few patients in the Weintraub cohort of patients on this drug. The weight of the evidence suggests that the use of the atypical antipsychotics Clozapine and Quetiapine, and now NuPlazid (Pimavanserin), will not significantly worsen parkinsonism and therefore are justified for treating active Parkinson’s disease psychosis. Also, recent evidence has shown that not treating psychosis can lead to a worse outcome. Patients and doctors should consider the concerns outlined in the current study, but also should also consider the potential risks of not treating. In my own Parkinson’s disease practice I do not fear using Clozapine, Quetipaine, and Nuplazid. I welcome the addition of a new drug, which is more efficacious than Quetiapine, and does not require the blood monitoring of Clozapine. Okun, MS. 10 Breakthrough Therapies in Parkinson’s Disease. Books4Patients. 2015 (with permission from the authors for use of material). Okun, MS. Should We Fear Antipsychotics in Parkinson’s Disease Patients? 2015. Baik HM, Choe BY, Son BC, et al. Proton MR spectroscopic changes in Parkinson's diseases after thalamotomy. European journal of radiology 2003;47:179-87. Borek LL, Friedman JH. Treating psychosis in movement disorder patients: a review. Expert opinion on pharmacotherapy 2014;15:1553-64. Broadstock M, Ballard C, Corbett A. Novel pharmaceuticals in the treatment of psychosis in Parkinson's disease. Expert review of clinical pharmacology 2014;7:779-86. Cummings J, Isaacson S, Mills R, et al. Pimavanserin for patients with Parkinson's disease psychosis: a randomised, placebo-controlled phase 3 trial. Lancet 2014;383:533-40. Friedman JH. Pimavanserin for the treatment of Parkinson's disease psychosis. Expert opinion on pharmacotherapy 2013;14:1969-75. Kingwell K. Parkinson disease: Pimavanserin could be useful for treating psychosis in Parkinson disease. Nature reviews Neurology 2013;9:658. Meltzer HY, Roth BL. Lorcaserin and pimavanserin: emerging selectivity of serotonin receptor subtype-targeted drugs. The Journal of clinical investigation 2013;123:4986-91. Okun MS. Pimavanserin and the Hope for a Better Drug for Hallucinations and Psychosis in Parkinson’s Disease. What's Hot in Parkinson's Disease. http://www.parkinson.org2013 November. Weintraub D, Chiang C, Kim HM, Wilkinson J, Marras C, Stanislawski B, Mamikonyan E, Kales HC. Association of Antipsychotic Use With Mortality Risk in Patients With Parkinson Disease. JAMA Neurol. 2016 Mar 21. doi: 10.1001/jamaneurol.2016.0031. 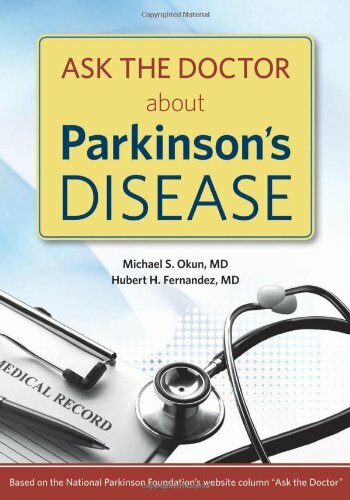 Sharing the Parkinson's disease treatment tips and secrets that can help countless patients and families as they wait for the Parkinson's cure. By Michael S. Okun M.D.